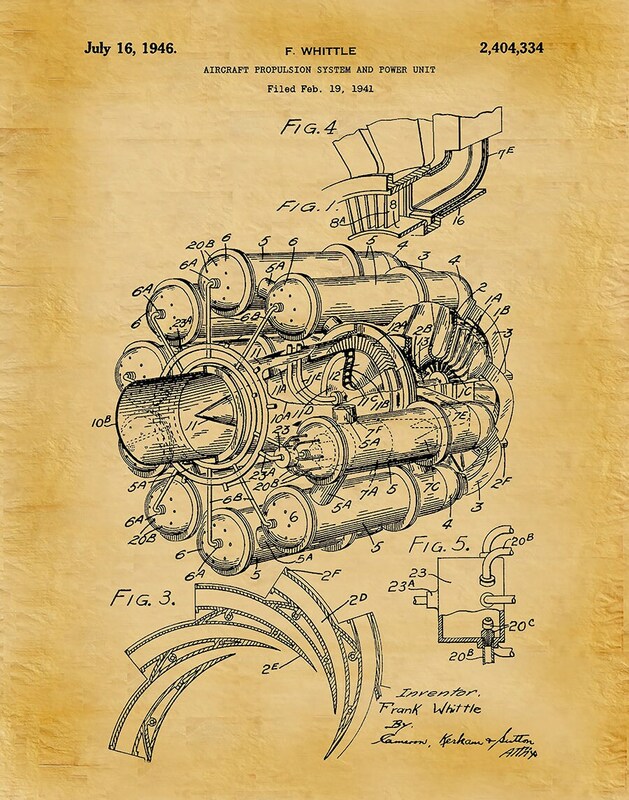 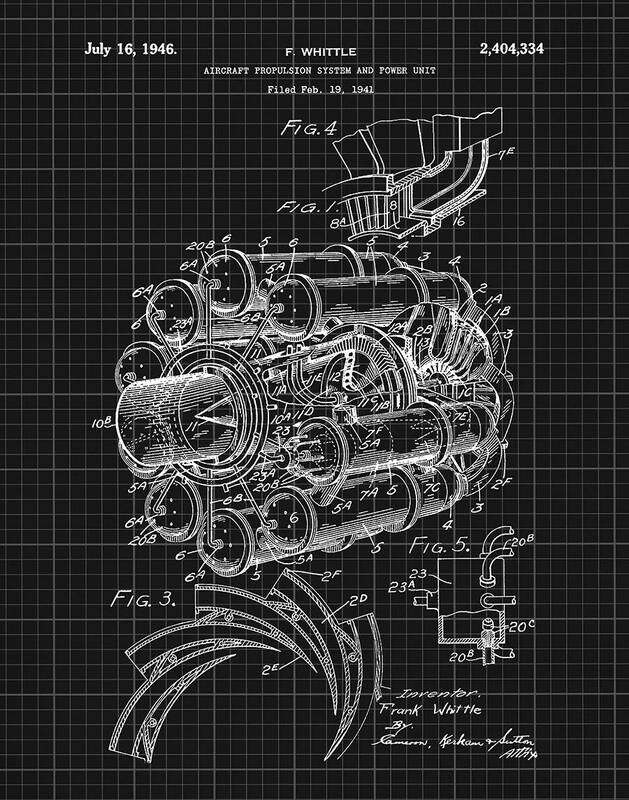 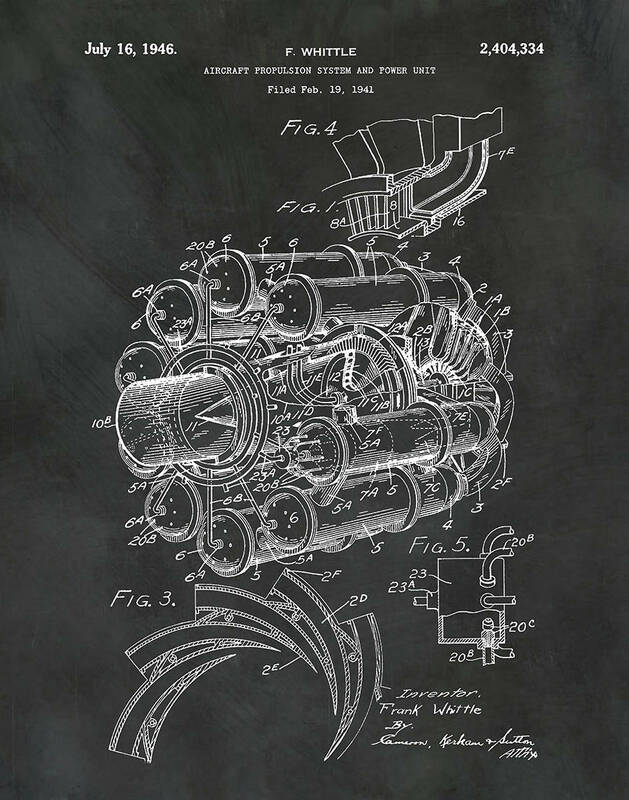 1946 Jet Engine Aircraft Propulsion System patent invented by Frank Whittle. The United States Patent and Trademark Office issued the patent on July 16, 1946. 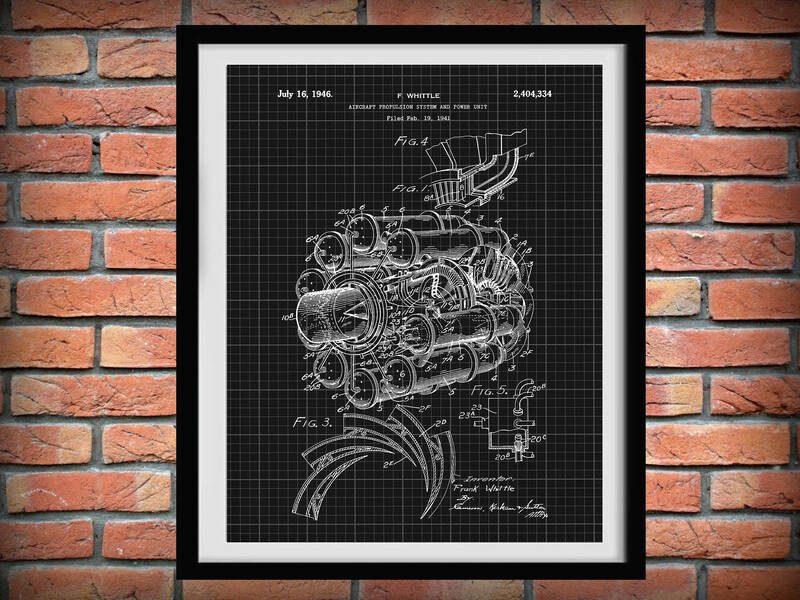 All patent prints and illustrations pages are restored and digitally enhanced to remove as many flaws as possible while maintaining the integrity of the original document.